I have just added my first item to my Etsy store. A pattern for my 'School of Fish'. Many people have liked the fish on Flickr and Pinterest so I though it would be a good idea to make a pattern. Hopefully people like it. Great Sas, remeber to put more than 1 quantity on the listing!!!!!!! Would you consider selling one fish. My grandson is the funniest little boy. He loves fish more than anything. This would be so cute for him. Let me know. Thanks. I have just got back from a trip to Lisbon where we fell in love with the stuffed toy sardines that look just like your fish. 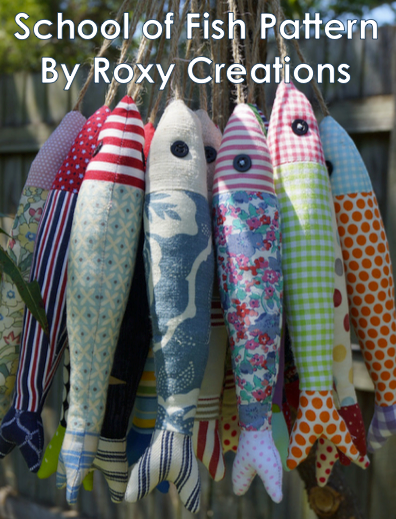 We couldn't find them for sale anywhere so I would be very keen to know whether you make these fish to order? Many thanks!